Combray, from far away, for ten leagues around, seen from the railroad when we arrived there the last week before Easter, was no more than a church summing up the town, representing it, speaking of it and for it into the distance, and, when one approached, holding close around its high dark cloak, in the middle of a field, against the wind, like a shepherdess her sheep, the woolly grey backs of the gathered houses, which a vestige of medieval ramparts girdled here and there with a line as perfectly circular as a small town in a primitive painting. For a long novel, there are remarkably few things that happen. The narrator spends an incredible amount of time in the beginning talking about his insomnia and his remembrance of his childhood in Combray. The famous madeleine cake episode that begins the novel proper does not happen until page 47, and by the aesthetic of a casual reader (myself included, at times), there seems to be not much dramatic tension going on. 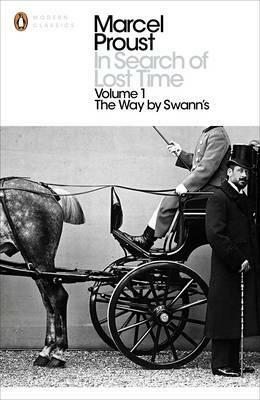 All those attributes may point to boringness, but “In Search of Lost Time” is anything but boring. The narrator’s endless ruminations may seem, at times, almost pathological, but who among us haven’t at some point in our lives fall into some form of never-ending introspection? His observations on the societies he was in, the snobbishness and racism of certain characters, and the deep friendships and relationships between people are sharp and accurate to a point that it seems a miracle that someone has written it. Despite its being written a hundred years ago, his descriptions of characters of different people seem familiar to us, as if he were only describing some of the people we know and meet every day.